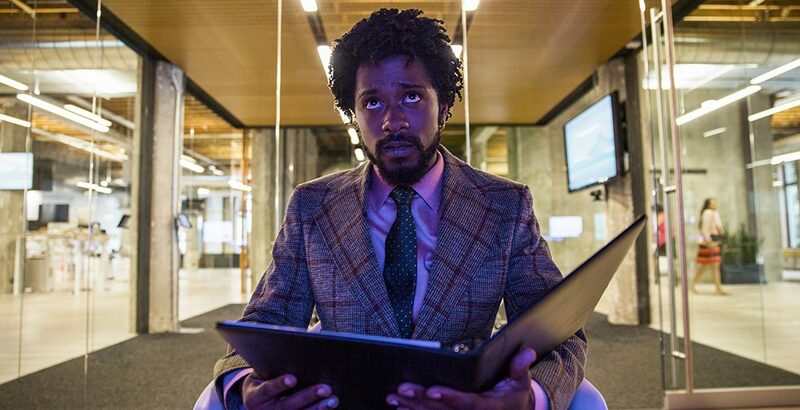 “Sorry To Bother You” follows Lakeith Stanfield, who stars as Cassius Green (name-pun intended I believe) – a complete loser, whom we meet rather goalless in general. He lands a job as a telemarketer and soon the rough beginnings turn his life upside down. Cassius finds an inner “white voice” inside him and suddenly the gates open – gates to becoming a cog in a giant corporate machine. There is a notable trend of musicians trying to shine on the screen this year. Lady Gaga shined Oscar-contender-bright in “A Star Is Born”, while Chance The Rapper debuted in an A24’s wild ride “Slice”. “Sorry To Bother You” brings another music novelty to the filmmaking scene – Boots Riley – but this time in the director’s seat. And what a strangely mezmerizing piece this man’s created. “Sorry To Bother You” is a bag of seamlessly mixed genres and inspirations. Riley gracefully switches gears in the machine and welcomes all shades of his own criticism to do the job. In order to conduct his ceremony of puns and comments about as many delicate topics as possible, Riley deploys an artillery consisting of humour (flawlessly delivered by Stanfield), horror (specially in the drug-driven second part) and a substantial dose of exaggeration. Scene by scene, the debutant director chooses the genre and motif as he pleases – if there’s a chance to put Steven Yeun in the light of a weird pervert (although nothing hints to that earlier), Riley does that. People becoming half-animals – sure. Armie Hammer snorting mountains of cocaine? Yup. Because why not? There is a method in this madness though. “Sorry To Bother You” isn’t just a razzmatazz of scenes, deliriously glued together to form an incoherent mumbo jumbo that pretends to be meaningful. Most importantly, Riley is a strong supporter of unions and a harsh critic of the corporate world. It’s cemented throughout the whole film. 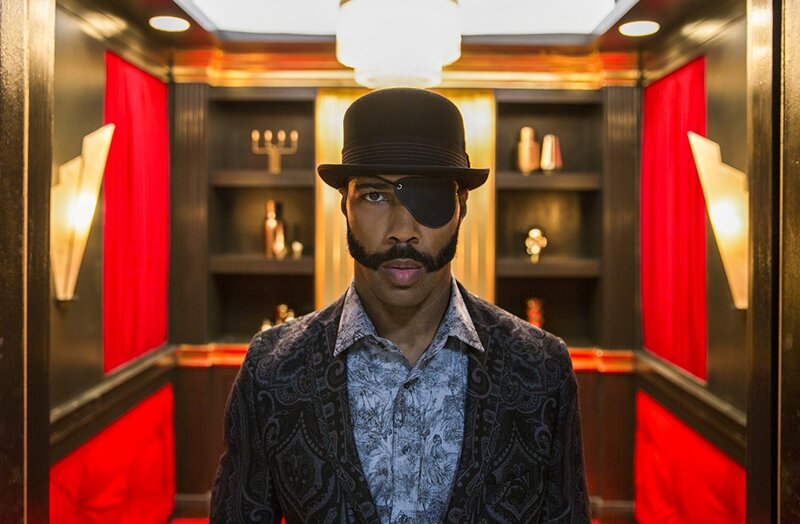 Many of the side-comments – like the ridiculing view of modern hipster art – serve the purpose of building the strange world that “Sorry To Bother You” exists in. But despite many of such multiple in-words, it’s the ill workforce situation that truly resonates as the main theme here. Interestingly, the very side each one of us chooses – pro-unions or pro-corporate – won’t influence the perception of the film. And that’s also its great strength. While Riley Boots wants to make a strong case of his own statement, his most primary goal is to entertain his viewers (even if they strongly disagree and cheer for being part of the glorious corporate world). Frankly, the “entertaining part” is where Riley delivers more than you can ask for. “Sorry To Bother You” is a burst of creativity, unchained by any genre or filmmaking method. This is a cinematic experiment at its best. 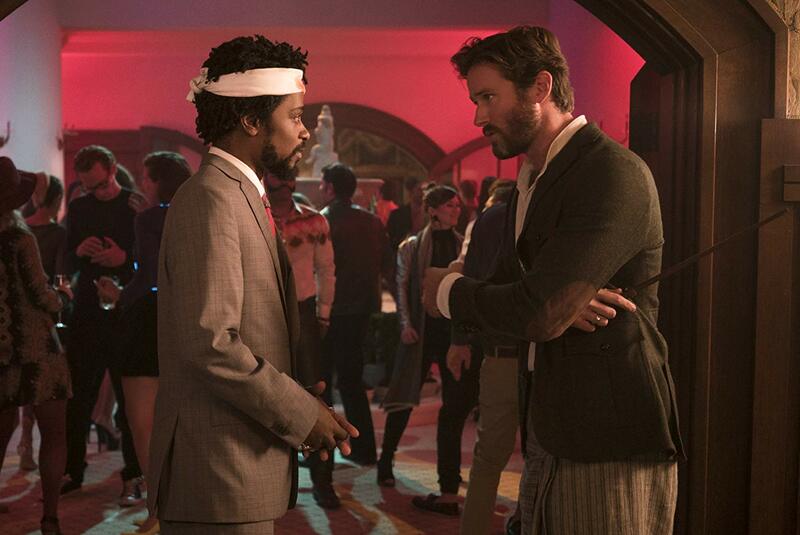 At times, “Sorry To Bother You” plays similar tunes to Flying Lotus’ Sundance hate-it-or-love-it kitschfest “Kuso“, but there is a substantial difference – Riley never loses control over the plot. His film is more based on a real movie structure as we know it (although he likes to dance close to the fire). Stanfield’s character is a classic arch of a man blinded by the illusion of grandeur and power. He leaves behind the traces of the past life and irrevocably joins the corrupted, the wicked and the disgusting ones. He is a warning sign in a weirdly disfigured world. However, unlike “Kuso” or more thematically close “High Rise” from 2015, “Sorry To Bother You” never jeopardises the clarity of the story with too many visual fireworks. The story is never put aside. No matter how weirdly and unexpectedly creative this film gets, it still follows its plot. While I’m discussing the story’s setting, the rapper-turned-director uses all kinds of weird creations to over-exaggerate the image of the spoiled corporate world. “Sorry To Bother You” is a slap to Marxism in a world fueled by Googlers, technology and sweated labor. Riley pushes the agenda of going pro-union and acting anti-racism, and does so in a surreal manner. I don’t want to spoil the fun, so let me just say that the mix of ideas inside this pot is sometimes almost spilling out. Nonetheless, Riley’s creativity prowess backs his ideas up and never abandons him in the dark corners of his own imagination (and it does get pretty dark). Last but not least I should say a few words about the acting. Lakeith Stanfield is tremendous as a simpleton thrown into the corporate swirls and twirls. Then, there are the lovely episodic roles – from Tessa Thompson and her artsy wickedness, to Steven Yeun and Armie Hammer putting solid performances and evidently having fun there. “Sorry To Bother You” is another pinnacle of the independent cinema in 2018. Lakeith Stanfield has compensated me for the unbearably bad “Death Note”, while Boots Riley made a stunning debut. It’s one of these films that I’m pretty confident to watch again – even though the story’s going to be known, the fun will be the same. All pictures taken from imdb.com.